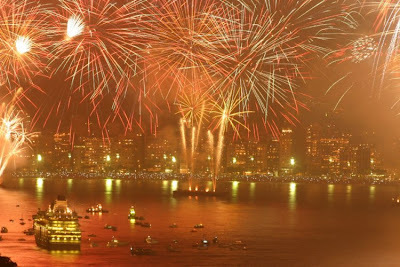 If you are planning on spending New Year's Eve 2010 in Rio de Janeiro, know that many parties are being planned for New Year's Eve, and the new millennium. Copacabana way be a sideshow as it was New Year's Eve 2008 to 2009, with fireworks on the beach, and a crowd of people visiting Rio de Janeiro from all over Brazil and the world, only to see this amazing spectacle . In the nightclubs and restaurants venues, many attractions are expected to attend the 2010 New Year's Eve in Rio de Janeiro, at the beach the show with Beyonce is now confirmed and promises to shake the beach of Copacabana in New Year's Eve. Great shows in Ipanema - Leblon - Flamengo - Barra da Tijuca - Guaratiba - Sepetiba - Governor's Island and Isle of Paqueta will cherish the turn of the year, with much joy and excitement, spreading the party all over town. Spending New Year's Eve 2010 in Rio de Janeiro is to know a beautiful city, which has as its main character to nature and hospitality of its people. About the fireworks on New Year's Eve at the Copacabana Beach. Be 4km beach with fireworks lighting the sky or in cascades of the facades of hotels and other points of the sea. In addition, stages are built especially for shows. The people, mostly dressed in white, coming from all over the world bid farewell to the year that is ending and toast the arrival of the new year. A show of fireworks, with 18-minute duration, illuminates various colors for the beauty of Copacabana Beach. Two million people, united by the incomparable spirit of Rio is welcome, even strangers, and walk toward the beach to make their offerings. Each one in his private ritual. Options for parties of six Tour to beach Leme. In hotels and restaurants present the most varied party options, with menus prepared by great chefs or tropical buffets. Always entitled to the greatest attraction: the magnificent fireworks display at midnight, which illuminates the sky with different shapes and colors.